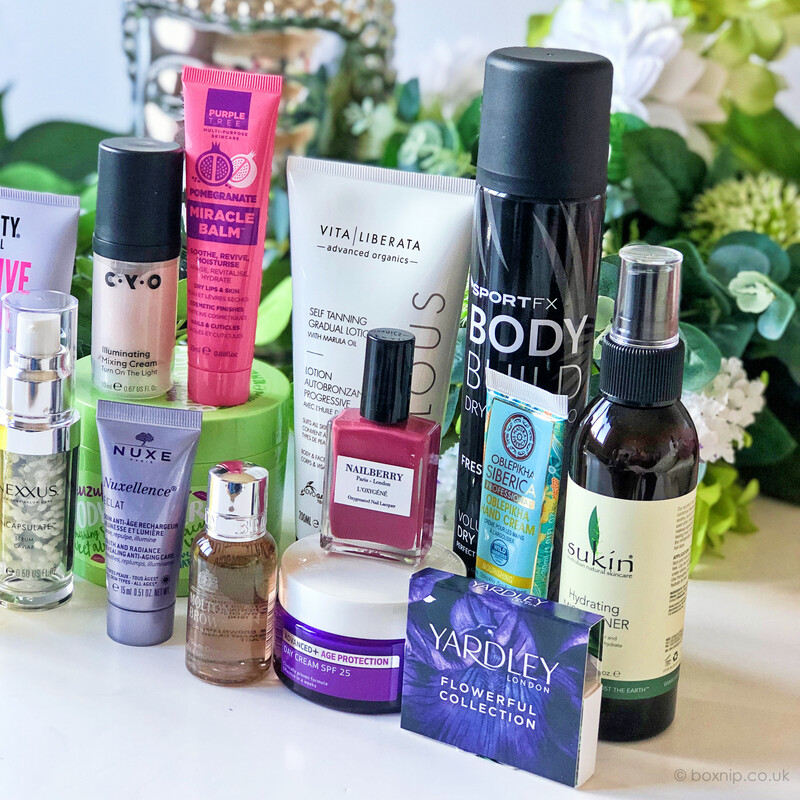 Their Spring 2019 The Beauty Heroes edit has 15 products with a total worth of £124. Curated to bring you all the products you need to get ready for Spring. It is available to purchase from Latest In Beauty for just £28…yes, £28! I think that is incredible value for money, don’t you? I mean, just look at this array of products that are in the box. What’s more, out of the 15 products 10 of them are full size! I don’t know about you but my skin is always on the dry side but even more so this time of year. This Soaper Duper body butter is perfect to help moisturise and nourish your skin. It has a delicate fruity scent and absorbs into your skin really easily. You don’t need much as a little goes a long way. My hair suffers through the colder months due to all the heating. It really dries out the ends of my hair. This leave-in conditioner by Noughty really helps to nourish your dry hair. It helps to smooth out frizzy, dry, damaged ends. I love that it is leave-in too. It helps with the moisture level in your hair, and in turn, it helps protect your hair too. Now I don’t work out but this is a great dry shampoo to take with you to the gym. One of my sons works out at the gym daily and he loves this SportFX product. It smells lovely and helps to keep your hair fresh after a workout. Toners in the form of mist sprays are my absolute favourite. I have tried other Sukin products before and they were really lovely. This hydrating mist toner spray provides a lovely burst of hydration. Distributed in a fine mist, I use this in between skin care steps for that added hydration. It’s also good for those hot flushes too. It has a rose scent but it is by no means overpowering. You can use this gradual self-tan lotion from Vita Liberata to give yourself a lovely glow for Spring. I don’t get the chance to tan naturally, so self-tan lotions are perfect for me. I can have some colour and a lovely glow. If you are a fan of self-tan lotions, I think you would love this. There are 2 shades of Nailberry polish that you may receive, Fashionista or Cocoa Cabana. Both are perfect colours for Spring. I received Fashionista, which is very me. These polishes are breathable, vegan and Halal approved too. I never really used to use hand cream on a regular basis. However, I’ve noticed my hands are so much dryer than they used to be. That is why I loved that this box included a Natura Siberica Oblepkiha Hand Cream. It contains Altai sea-buckthorn and amaranth oil. Plus Cranberry seed oil. These ingredients combine to provide a really deep moisturising hand cream, which will also protect your skin from environmental damage too. Another love of mine are face serums and oils. I haven’t started using this Dr Organic one yet because I already have enough in my routine. It is ideal for me though as it is anti-ageing and regenerating. Another plus is that it has Rose in the ingredients, not to mention a whole host of other fab ingredients. I’m looking forward to trying it out. When I first saw this product from Nexxus, I admit that I thought it was skincare. I mean it does look like some fancy face serum. This hair serum though has concentrated elastin protein to help keep your hair looking and feeling healthy. In just one use it can restore lost proteins from your hair. You cannot go wrong with this lovely balm from Purple Tree Skincare. Containing natural Pomegranate oils it’s great for dry, chapped lips. You can also use it on any dry patches of skin too. 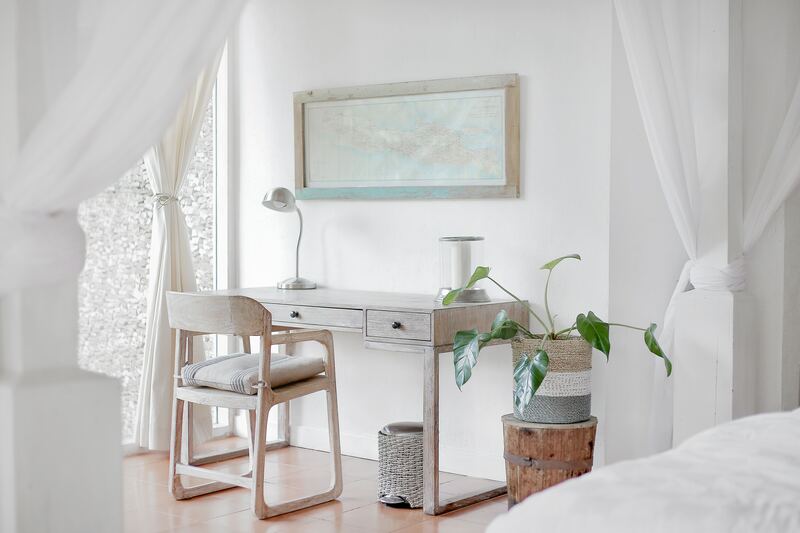 It’s also the perfect size to drop in your bag or your desk drawer. This bottle of Molton Brown body wash is the first time I have ever tried any of their products. I can see why people love them. It smells heavenly and is really creamy. It is only a 30ml bottle but it was enough to know that I love it. The Molton Brown love? Yup, I definitely get it now! A lot of us like to have that dewy glow in the Spring. You know the one that makes us look all fresh and positively glowing. Well, this baby from CYO will boost your moisturiser, BB/CC cream or foundation to give you the glow of all glows. Spring personified in these 3 delightful fragrances from Yardley. Fresh scents that, whilst floral, are definitely young & modern. The 3 fragrances are Luxe Gardenia, Decadent Mimosa and Elegant Iris. Usually, I don’t like floral scents but these were totally not what I was expecting. I actually liked them a lot. Fade Out is a brand that I have never tried before, so I was excited to see the full size of their day cream in the box. I’m a big lover of Hyaluronic Acid given my skin is usually dry, so this should be great for my skin. Hydration isn’t the only thing this cream offers. It also claims to reduce the appearance of fine lines and wrinkles. Last but by no means least, is this Nuxe Nuxellence Eclat. I am looking forward to trying this product. If it smooths, plumps and illuminates as it claims, then I will be happy. It does have Hyaluronic Acid in its list of ingredients, as well as Passionflower. The skin benefits of Passionflower extract are that it reduces the appearance of fine lines and wrinkles, so it helps keeps the skin smooth and plump. It also hydrates and moisturizes the skin without clogging pores. Phew! That was a lot of products to go through. I’m really impressed with this box. Latest In Beauty curated an excellent assortment of brands and products tailored to cover every aspect of beauty. 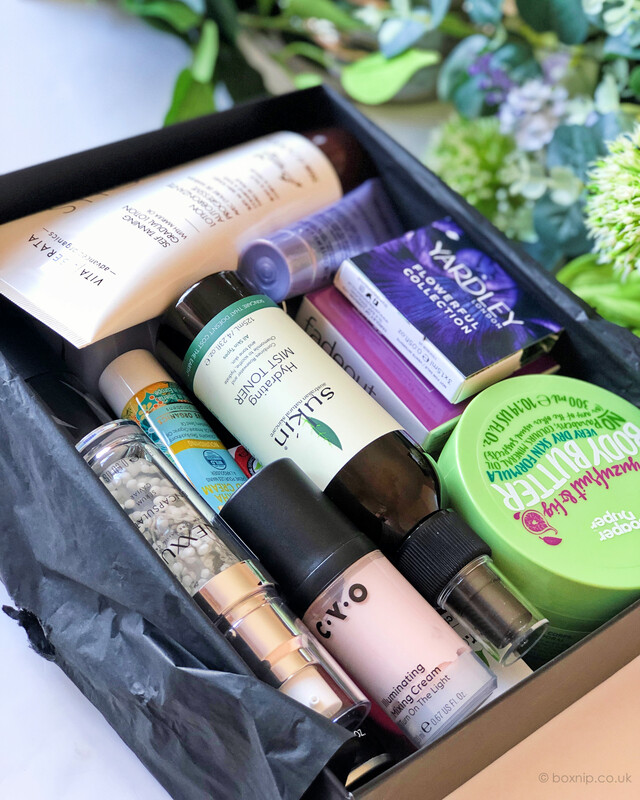 Definitely a brilliant box for getting prepped ready for Spring. I usually find at least one or two items in beauty boxes that I just wouldn’t use. I have to say though, that I would use every single item in this box. Some of them I have already tried and loved. A few items I haven’t tried yet as I’m currently already using similar. So I don’t want to waste them by starting a new product. Where Can I Purchase Spring 2019 The Beauty Heroes Edit? 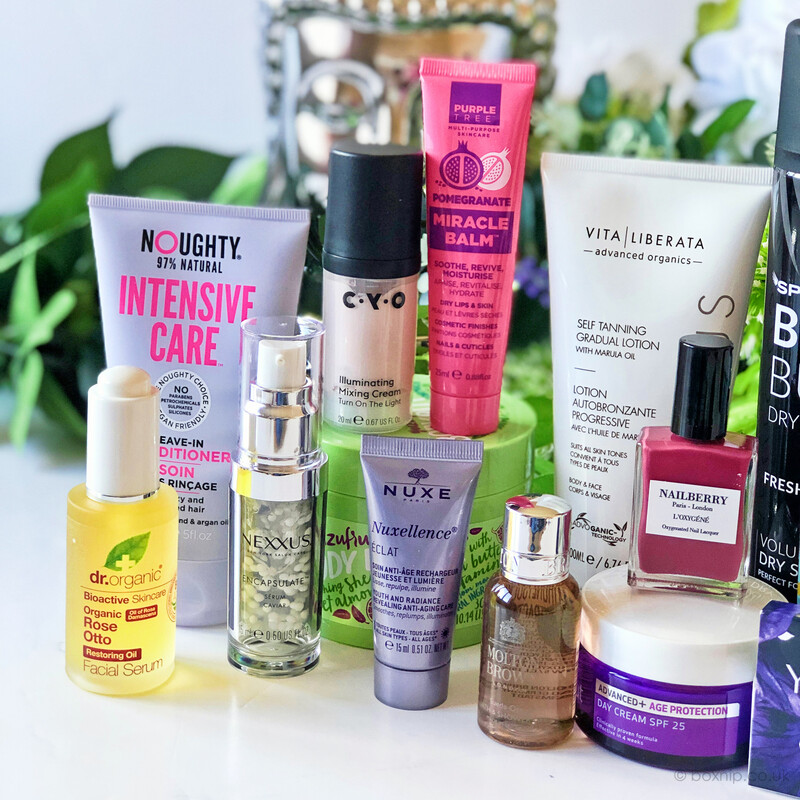 Have you tried any of these brands or products? What do you think of this Spring 2019 Beauty Heroes edit? Did you enjoy this? Then why not Pin It?